The Jurlique Hydrating Rose Essentials is a must-have collection for pampering and hydrating your skin. Each luxurious formula utilizes fragrant Gallica Roses that have been grown and extracted from the brand's organic farm in the South Australian hills. A refreshing formula that rebalances and rejuvenates the skin with a fresh sensation. Providing skin with the perfect pick-me-up, the mist contains Aloe Vera and Rose, renowned for their healing properties, while Glycerin and Marshmallow work in synergy to provide a refreshing boost to the skin's natural hydration system. 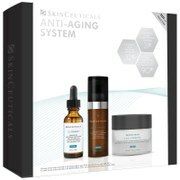 Dull and fatigued skin is transformed, leaving the complexion visibly healthy and energized, as well as touchably soft. A replenishing formula developed to hydrate and protect. Infused with Rosa Gallica, the quick-absorbing serum provides essential fatty acids to soften, balance and restore long-lasting comfort. An innovative antioxidant complex defends against environmental aggressors to leave dehydrated skin feeling radiant and rejuvenated with a delicate Rose scent. A lightweight, replenishing formula that provides hydration and protection. The lotion envelops skin in a luxurious veil of long-lasting moisture, which eliminates areas of dryness, while softening and soothing the complexion. Utilizing an antioxidant complex, the Rose lotion protects against external aggressors to ensure skin appears radiant, youthful and healthy. Effortlessly absorbing into the visage, the lotion leaves skin feeling comfortably hydrated, smooth and balanced. A rich, non-greasy hand cream that works to restore soft, supple skin while delivering a luxurious Rose fragrance. Deeply nourishing and rebalancing, the fast-absorbing cream is infused with Macadamia and Safflower Oils to soothe and calm skin, leaving hands feeling comfortable with long-lasting hydration. Vitamin E provides antioxidant protection to shield from environmental aggressors and maintain youthful-looking, silky smooth hands.